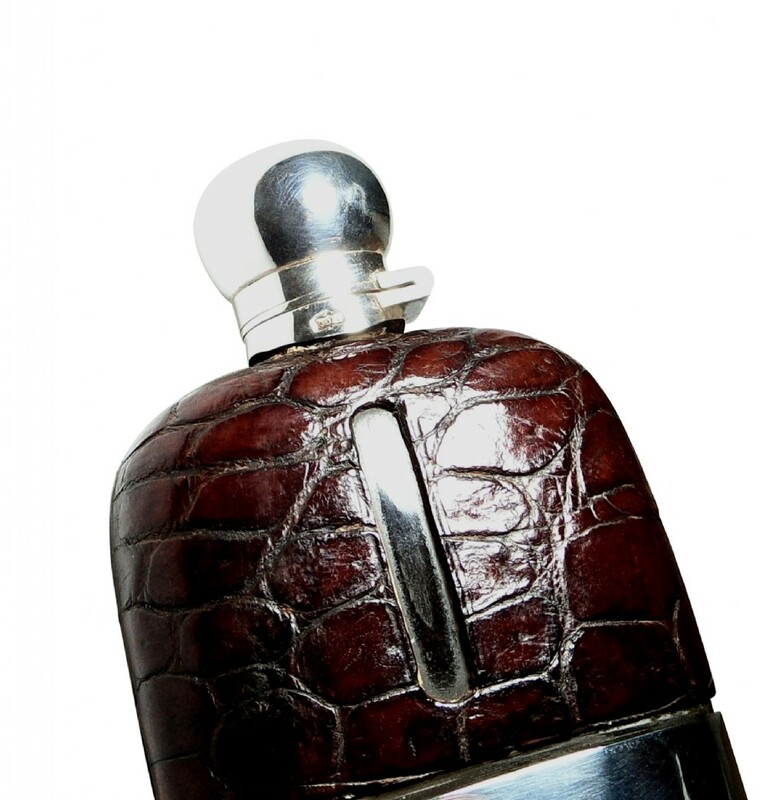 This is a superb antique silver plated and crocodile leather hip flask measuring 6 1/4" (16 cms) tall x 3 1/4" (8 cms) across. 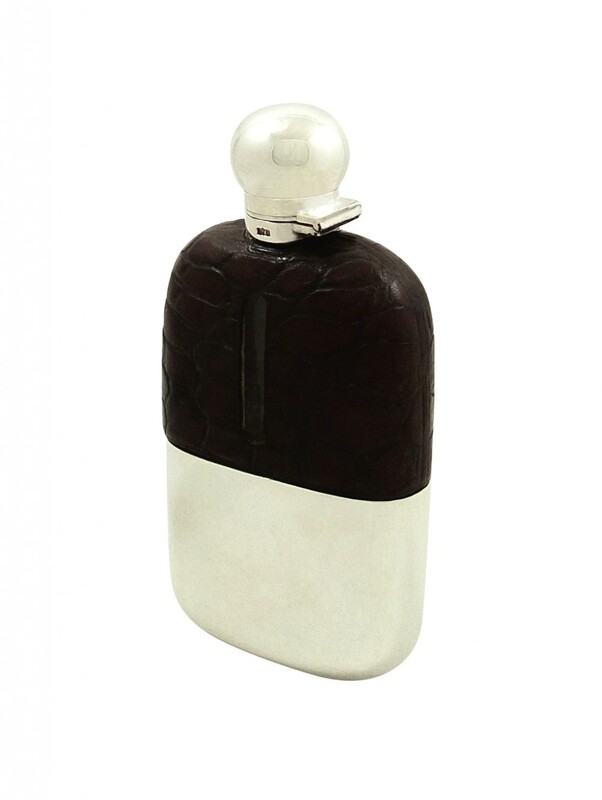 It's in very good condition with no chips or cracks to the glass and the crocodile leather is in great condition and is a beautiful rich dark chestnut colour which is quite difficult to show in the photos. 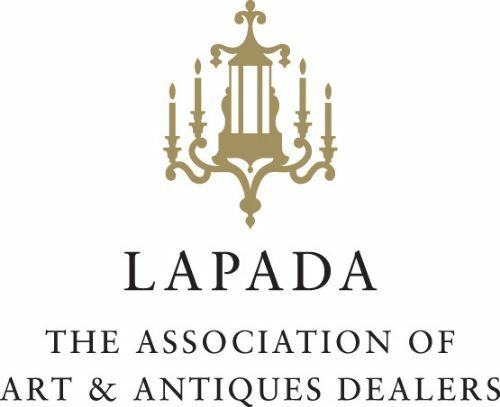 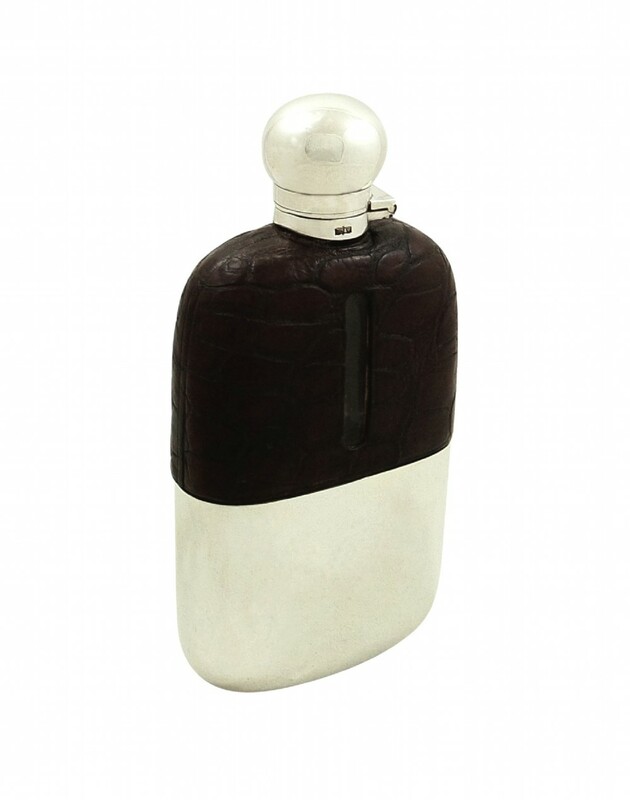 The silver plated lid and cup are both in excellent condition and the flask is watertight and perfectly usable today - it is marked underneath with the James Dixon and Son makers mark . 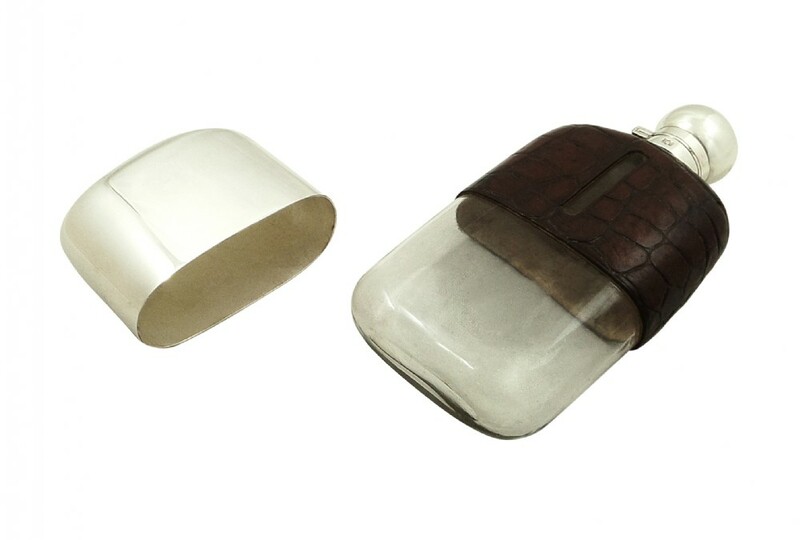 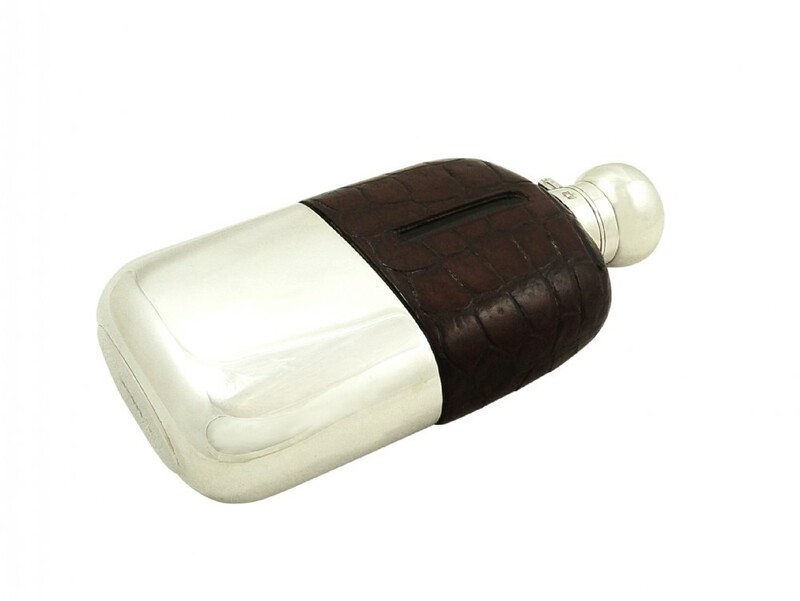 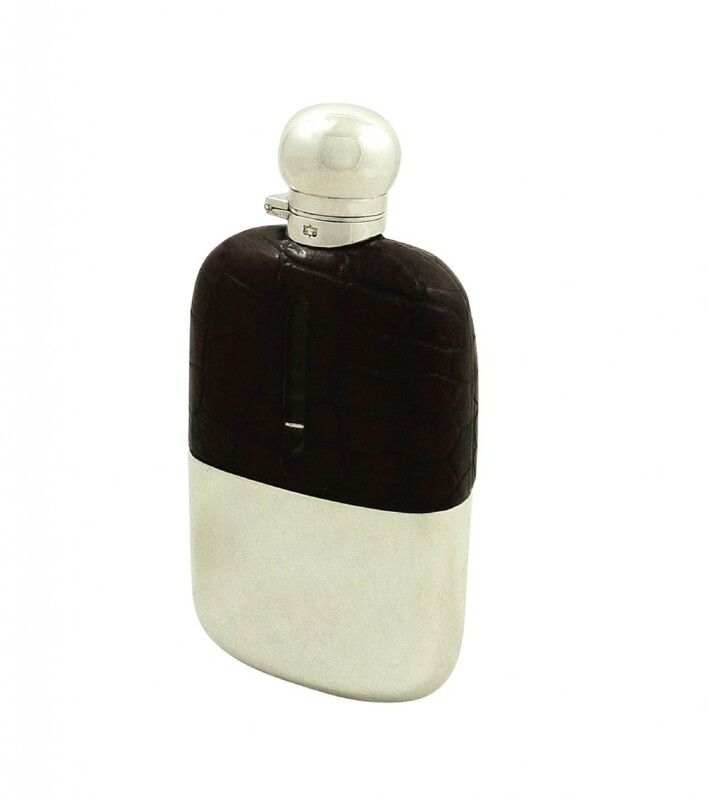 The Antique Crocodile Leather & Silver Plated Hip Flask c1900 has been added to your saved items.